During a divorce, all marital assets and debts must be valued and divided among both parties. Division of property in divorce in Gwinnett County is referred to as equitable distribution, and it can become one of the most complicated and tedious aspects of divorce, particularly when one or both spouses are contentious or when there is substantial property. If you are in the midst of a divorce, you will have to provide your attorney with a list of all of your assets and debts and obtain valuations of big-ticket items and collections. At the Ward Law Firm in Duluth, we have an advantage over other family law firms. Attorney David J. Ward has a strong accounting background and can help you understand these requirements and gather all of the necessary paperwork to ensure the process goes as smoothly as possible. 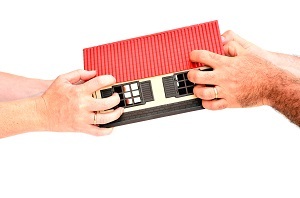 Not all of your assets are up for division during a divorce—only your marital property. Marital property is any property that you or your spouse acquired during the marriage from your earnings, regardless of how the property is currently titled. Conversely, separate property is property that you owned prior to the marriage or that you acquired as a gift or inheritance. The lines can get significantly blurry for certain assets during a divorce. In some cases, property can be considered both separate and marital property. The most common example of this is a house that was owned by one spouse prior to the marriage. If the husband owned a house prior to marriage and the wife moved in after the wedding, any equity in the home up until the date of marriage is his separate property. But because they use their combined earnings to make mortgage payments after the wedding, the equity and appreciation in value due to the efforts during the marriage are considered marital assets and are thus subject to division. Any asset that is marital property is subject to equitable division, regardless of the type of asset or which party is registered as its owner. Note that equitable distribution does not necessarily mean equal distribution. Rather, the courts mandate that the marital property be divided in manner that is fair and reasonable under the circumstances. Everything from bank accounts, investments, and retirement accounts to real property, valuable collections, and small businesses are subject to equitable distribution. Businesses. If one or both parties own a small business, the business first must be valued before determining how it impacts the overall division of assets. Then the couple will have to determine how to divvy up the business. Will they sell it and split the assets? Will one party keep it and buy the other out? Retirement Accounts. Retirement accounts and pensions are among the most complicated assets to divide because their division involves matters of both state and federal (ERISA) law. Divorce attorneys typically use Qualified Domestic Relations Orders (QDROs), a specific type of legal document used in a divorce, to divide retirement accounts. A QDRO is a court order provided to the custodian or administrator of the retirement account that details how to split or transfer an IRA, 401(k), or other type of retirement account in accordance with the final property division settlement or order. Contact the Ward Law Firm today to schedule your REAL case analysis.